Do you need to make a move in Bedford, Texas? You’ll have a lot of local HEB moving companies to choose from, such as large moving companies that travel the US to small local family-owned moving companies that stay close to home. 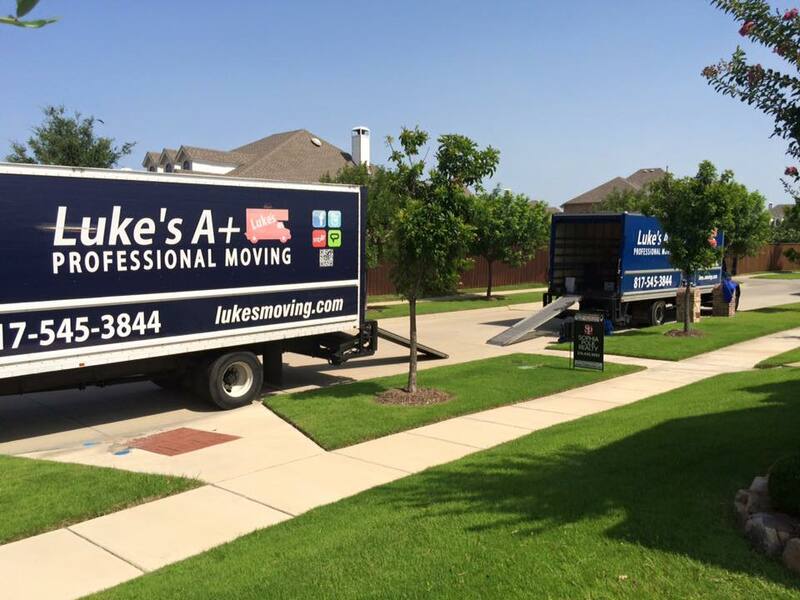 Luke’s A+ Moving Services offers the best of both. We’re your best choice for the perfect Bedford moving company. We’ve been moving people in the Dallas Fort Worth Metro Area for over five years and know what you need in a Bedford moving company. We have all the experience to get the job done quickly and safely. Our movers are friendly, professional, and experienced. We treat your items like our best friends to ensure they get the quality care they deserve. We’ve worked hard to earn our customers’ trust, and you’ll notice the difference when you choose us. Contact our full-service moving company in to prepare for your upcoming move. We’ll get all the tough work done so that your move is as easy as possible. We’ll even unpack everything for you at an additional cost. We also offer free delivery on affordable packing supplies. We’re up to even the most difficult moves at Luke’s A+ Moving Services. We handle both pre-booked and same-day jobs, giving you ease of scheduling. And our moving method is guaranteed to keep your items safe the whole way. We ensure your furniture, walls, and doorways are never damaged in the process, giving you extra peace of mind. Runners are laid on your floors to prevent damage. Bedford belongs to the HEB (Hurst Euless Bedford) region of north texas. It has just over 47,000 people and is just 23 miles from downtown Dallas. Bedford is one suburb of Dallas that’s been expanding rapidly in recent years. More and more families are finding the area great for raising a family outside of the busier Dallas/Fort Worth metro area. There are plenty of fun things to do in Bedford as well. Each year the city hosts the Bedford Blues & BBQ Festival over Labor Day weekend, a festival that draws in more than 100,000 people.